Saigon is a modern and luxurious city, especially in the night when every place of Saigon is brightened by lamplight. This is the most time to view Ho Chi Minh City. It will be a regret for any Saigonees or travelers who travel to Ho Chi Minh City if you haven’t ever seen Saigon in the night. 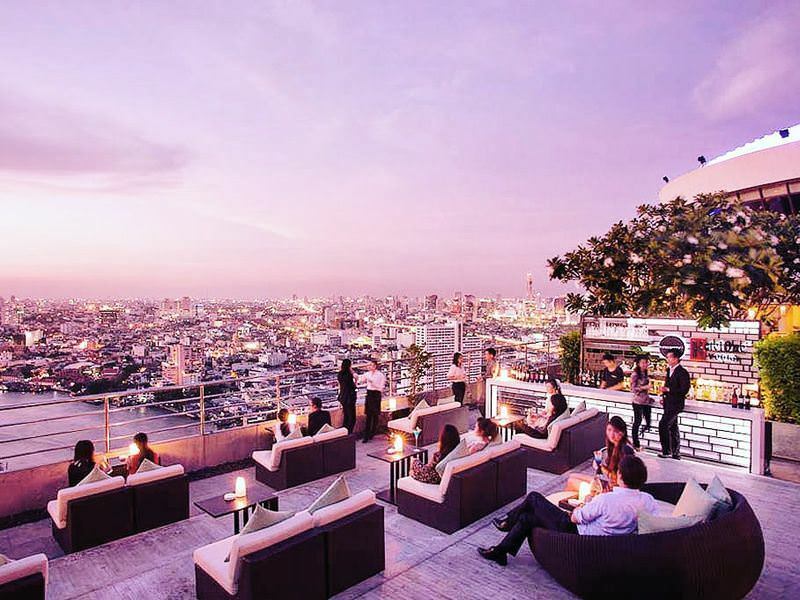 Choosing a rooftop bar will be the best place for sightseeing Saigon in the night. Sightseeing Saigon from perch will be an exciting experience for everyone. This is the best way to escape from a vibrant city below. There are some rooftop bars for you to have a panoramic view. Built-in 2016 in true Singapore style, Propeller Rooftop Bar will bring tourists a wonderful experience through its open space. The propeller is located on 16-storey of Bay Hotel Ho Chi Minh. It is considered to be one of the best rooftop bars in Ho Chi Minh City. 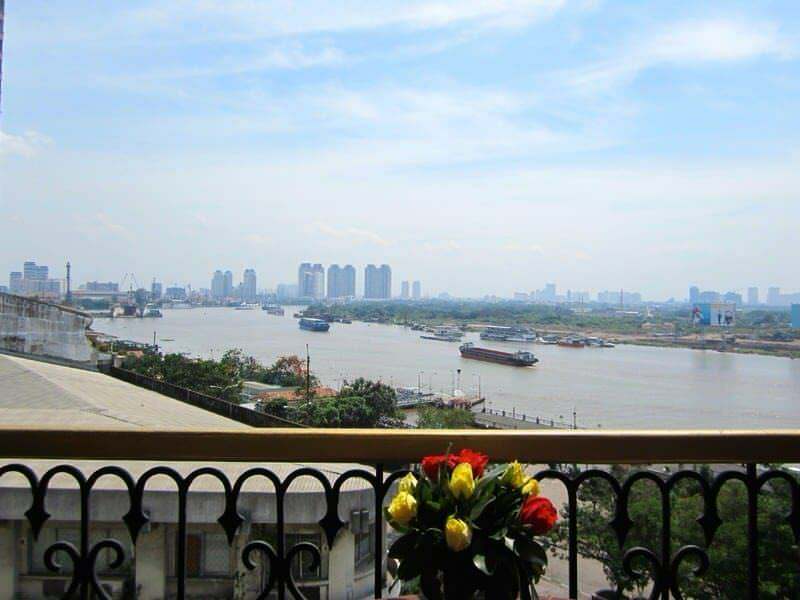 The guest can both enjoy a drink in music and see the overview of Ho Chi Minh City. The foods and drinks in there were cooked by the best chefs of Propeller. Especially, by the time, the guests open their menu, a sweet fragrant will stimulate their appetite. Moreover, Bay Hotel Ho Chi Minh City is near Saigon River. So it will be a great place for the guest who wants to enjoy the cool atmosphere from Saigon River. Opened in 1959, Saigon Saigon Rooftop Bar is an iconic landmark in Ho Chi Minh City as the setting for daily war correspondents briefing during the Vietnam War. The bar is set on the ninth floor of the Caravelle Saigon, featuring fairy lights, wooden furnishing, plenty of foliage for a cozy ambiance, and views of Lam Son Square. Daily happy hour promos at Saigon Saigon Rooftop Bar are between 16:00 and 19:00 where you can enjoy 50% off your total bill. All drinks are also served with a selection of snacks such as nuts, dried fruits, and shrimp. Chill Sky Bar sits on the 25th floor of Saigon’s AB Tower, attracting affluent locals and expats looking to party in style. The music policy here comprises of chill-out tunes in the early evenings before its resident DJ livens things with popular dance and hip-hop music from 22:00 onwards. Due to its upmarket ambiance, it must be said that drinks here are very expensive but happy hour promos from 17:30 to 20:00 offer all cocktails, long drinks, beers, selected wines, and snacks at half price. There’s also a strictly enforced dress code at Chill Sky Bar make sure you dress the part (and leave the flip-flops back in your hotel room). Rex Rooftop Garden at Rex Hotel Saigon makes up for its modest height with breath-taking views of Vietnam’s French colonial structures such as Saigon Opera House and People’s Committee Hall. Set on the fifth floor, it is also fitted with an elevated stage and dancefloor, hosting live Latino bands and salsa performances at 20:00 onwards. The price range here is fairly in line with most rooftop bars in Ho Chi Minh City, but you can enjoy selected alcohols at about 20% off from 17:00 to 19:00. >>> Further information: Where do you stay in Ho Chi Minh City? There will be an interesting idea for escaping the busy streets of Ho Chi Minh City. This is some choices for you to gaze with veneration at Saigon in the night. Ho Chi Minh City cruise tours are perfect for escaping the busy streets of Ho Chi Minh City, where you get to enjoy a boat ride through the canals of the Mekong Delta, visit the lush biosphere reserve of Can Gio Mangrove Forest and Rung Sac Guerrilla Base. Accompanied by a knowledgeable guide, travelers can also learn about the history and culture of the locals at prominent fishing villages and floating markets, as well as spend the afternoon watching folk music performances and walking around the tranquil countryside. If you’re pressed for time, there are also plenty of half-day boat tours in the city, which not only offer the impressive skyline of Ho Chi Minh City, but also sumptuous buffet spread and live folk music and native dancing aboard a Vietnamese-style boat. Book directly from our list of cruise tours and enjoy a memorable holiday experience in Ho Chi Minh City. Upon your arrival at the pier, hop aboard the dragon boat and cruise along the beautiful Saigon River. Along the way, indulge in a sumptuous Vietnamese buffet dinner and enjoy live folk music and native dancing that showcases Vietnam’s unique culture and heritage. The boat returns to the pier in the late evening for your return ride to your hotel. For a romantic night in Ho Chi Minh, there is nothing better than taking a leisurely cruise down the Saigon River. The Bonsai Dinner Cruise combines a slow river journey aboard a beautiful wooden barge with a sumtious feast of western and Vietnamese favourites. Along with dinner and the views of the HO Chi Minh City at night, there is a live jazz performance on board and a traditional Vietnamese dance to enjoy. 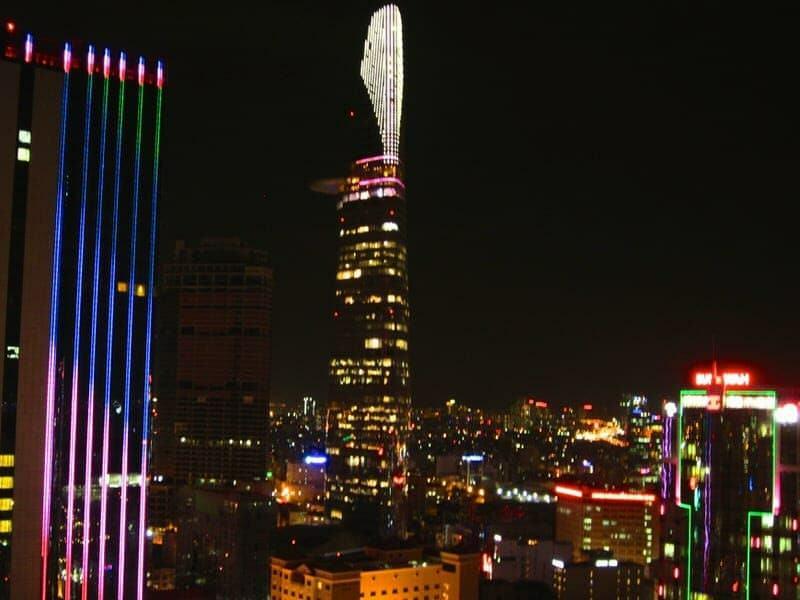 Bitexco is the most famous tower in Ho Chi Minh City. Located in the center of District 1, it is designed after lotus, which is the Vietnam’s national flower, with 6000 glasses. Saigon Skydeck which sat on 49-storey of Bitexco Tower is considered the greatest place for sightseeing Saigon from perch fully. People can see some famous destinations of Ho Chi Minh City such as Ben Thanh Market, Duc Ba Church,….